Margo partners with Quartet FS to train its consultants to the ActivePivot solution. 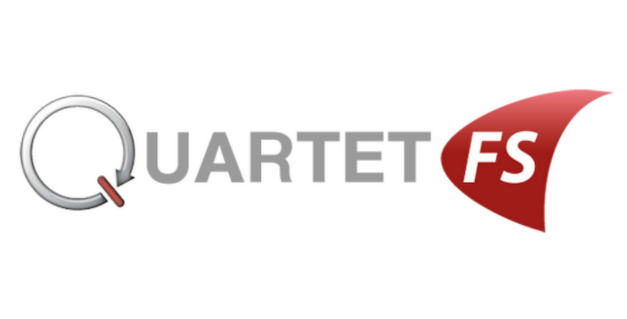 The Quartet FS company was founded in 2005 by five entrepreneurs from the finance, grid and in-memory industries. They identified a need in real time complex data analysis and launched their business to offer solutions to large manufacturing, retailing or financial companies. First established in Paris, London and New York, Quartet FS today also develops in Asia, particularly in Singapore. They employ 80 people in total, with 1/3 of their human resources (and 2/3 of their R&D activity) in France. ActivePivot is a solution developed in Java by Quartet FS. It’s a platform that helps to make better tactical or operational decisions by analyzing in real time a large amount of dynamic data. Concretely, this platform relies on an aggregation and calculation motor generating business indicators on rapidly changing data. They also developed add-on modules, mainly in order to facilitate source data integration. Thanks to its extensibility and flexibility, ActivePivot adapts to many types of client software. Today, around 40 clients from diverse industries are using the ActivePivot. For example, the French cultural and electronic products retail chain La Fnac uses the solution to manage their dynamic pricing policy daily. In the Financial Markets, ActivePivot is used to deal with many issues such as PnL, risk monitoring in trading rooms or liquidity risk management. In Corporate and Investment Banking, the amount of data is growing every day. It can be assimilated to a raw material which has to be worked and tapped to create value. Storage technologies in conventional databases are able to correctly process data. But if you need to extract all the pertinent information, especially in real time, it’s nearly impossible. ActivePivot is an on-the-fly, in-memory analyzing platform. It compiles a huge amount of data (more than one terabyte) through a multidimensional “data cube”, that you can request to precisely extract the pertinent information you want in real time and with your required level of detail (revenue of a special activity by country, city, month, year). Working in a partnership with Quartet FS to train our consultants and on-board them on issues linked with the implementation of the ActivePivot solution is to invest in the future and Big Data in the Financial Markets. Today, several Margo consultants are working on projects using ActivePivot daily. They have varied levels of expertise: from Junior Developer to Tech Lead with a strong expertise on JAVA and data.